This Humane Multi Catch Mouse Trap provides a rodent friendly method of mouse control. 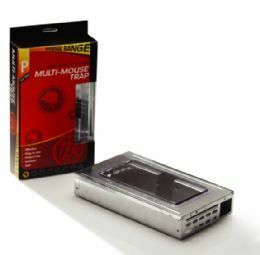 With the ability to multi-catch and hold up to 10 mice in one go, this humane mouse trap is ideal for situations where more than one mouse is suspected. Special features of this humane mouse trap include ar vent at the side to provide plenty of air for mice when caught inside, and a large clear window on the top enabling easy inspection. The easy lift lid also allows for easy release.